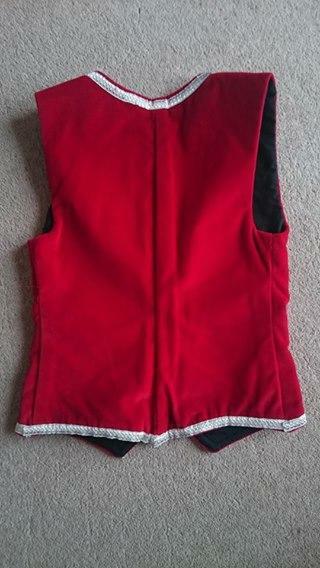 dance.net - Red Waistcoat (10247593) - Read article: Ballet, Jazz, Modern, Hip Hop, Tap, Irish, Disco, Twirling, Cheer: Photos, Chat, Games, Jobs, Events! 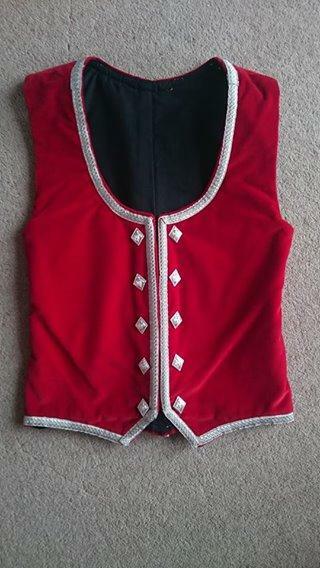 It looks like this waistcoat has been altered with excess material available in the back seam. This has been reflected in the price. All measurements have been taken flat.